Main Characters: Amber, Opal, Jade, Duke of Divulyon, Elaydor, Adrien, Jean Losserand, Elfohrys, The twelve councilors, The thirteenth councilor, warriors, Knight of order and Oonagh. Description of one of the main characters: Amber is a poor country girl. She is kind. She is one of the stones. She is the one who convinced everybody that Elaydor is the chosen one. Whom I like and why:I like Jade very much. She is intelligent. She gives an idea to kill the councilors. Whom I dislike and why:I dislike the thirteenth councilor because he is wicked. He tries to kill the whole world using the knights of order. 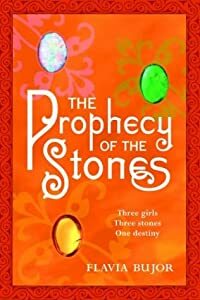 Setting/theme of the story: Three girls of age 14 - Opal, Jade and Amber set out on a journey to Fairy tale, as they are the three stones. They meet a Knight from fairy tale named Adrien. With his help, they enter Fairytale. Meanwhile, the chosen one, Elaydor, comes to Fairytale with his fiend Elfohrys. The Council members try to capture Fairytale, the only free world. Elaydor leads the war with the help of 3 girls and their stones. They defeat the council and peace comes. But peace cannot be there for long as where there is good there is always bad. Part I enjoyed the most: I enjoyed the part when Opal, Amber and Jade meet during their 14th birthday. Yes, but Opal, Amber and Jade were parts of the personality of another 14 years old girl who was dying, no?